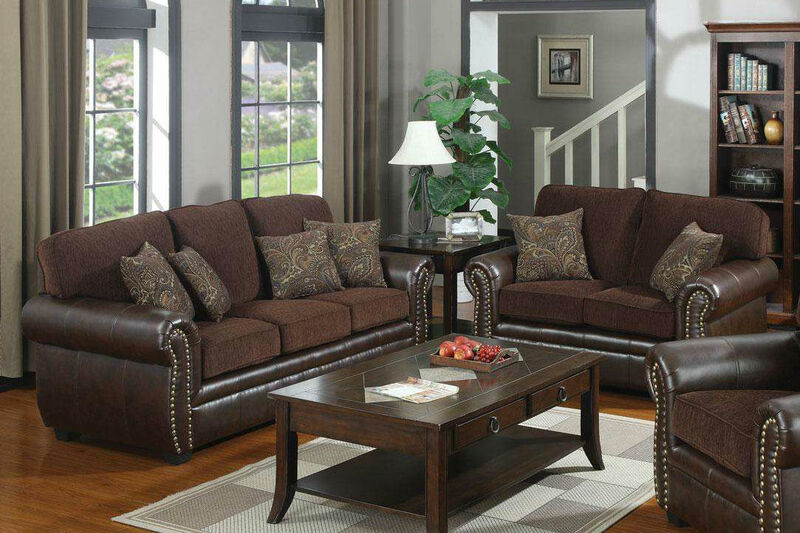 With this loveseat you can have both elegance and comfort for your living room or family room. The sophisticated design offers ultra soft chocolate brown chenille fabric in the seating areas with a rich look tri-tone brown leather-like vinyl on the arms, base, and back sides. Individually placed decorative nailheads adorn the rolled arms and colorful accent pillows add softness and style to complete the look. 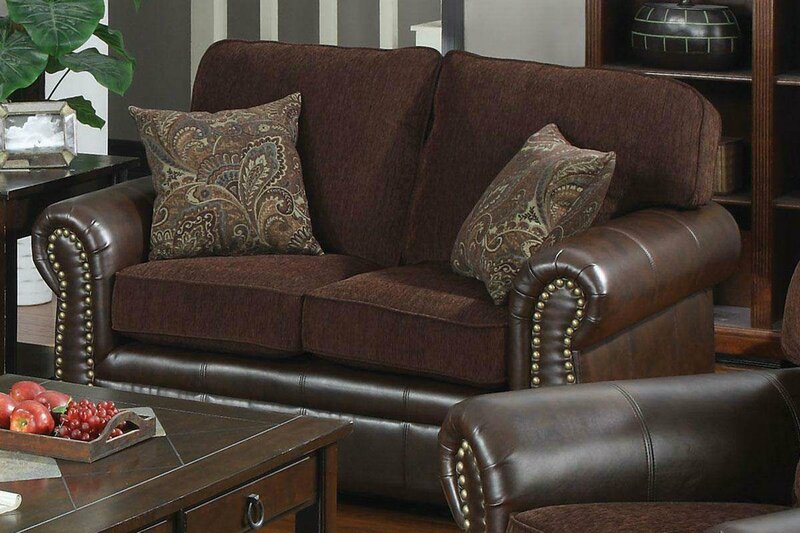 Supported by pocket coil seating, plush box cushions, and T-style back cushions, sink into this loveseat's luxurious comfort.